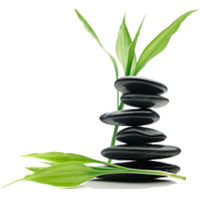 Naturopathy is a health profession that views the body in a holistic way and seeks to find and correct the core issues that are causing the diseased state or shift from vital health without the use of conventional drugs. Improved health and wellbeing can be achieved following the help of urine tests, iridology, diet and lifestyle analysis. Improved health and wellbeing can be achieved using chosen individualised remedies and treatment options. Natural Medicine has been used for thousands of years with great success and can be utilised along with conventional medicine as a complementary solution. Natural therapy improves our body’s ability to heal and help prevent disease. Naturopathy is suitable for all ages and may help most conditions that are brought on by diet, lifestyle, chemical, emotional, trauma and genetic factors. You don’t have to be sick to have a Naturopathic consultation, as you may just want some advice on how to be healthy or perhaps prevent a condition that runs in the family. It can alleviate a large variety of acute and chronic conditions such as digestive (gut) problems, reflux, allergies, skin disorders, constipation, diarrhoea, energy depletion / chronic tiredness, inflammation, liver, kidney, heart, circulation, immune, nervous, muscular, skeletal and hormonal disruption. Secondly; it may be recommended that further laboratory tests are carried out on the function and pathology of your body. I.e. blood tests, allergy testing, hair analysis etc. This is only recommended if deemed necessary to gain an overall picture of your health. Furthermore please bring any medical test results you may already have obtained from your GP to your Naturopathic consultation and any medicines and natural remedies that you’re currently taking. Children, adults and elderly people can benefit from Naturopathic treatment. With the focus on education and responsibility for personal efforts, applying Naturopathic principles to your life will rub off on those you love, so that the benefits are an improvement in the health outcomes for the whole family. With a positive attitude the use of natural and scientifically proven remedies and medicines whilst taking an achievable and realistic approach, you can improve your health and optimise your future wellness and longevity.